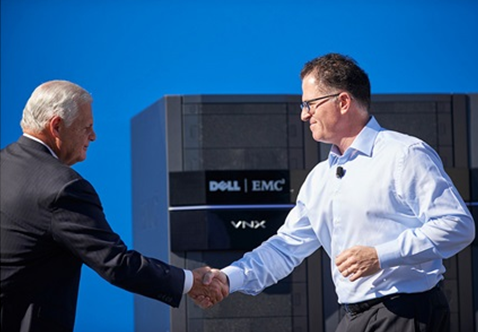 Dell Technologies, the outcome of the Dell and EMC Merger which concluded on 7th September 2016, cost Dell Inc. $60 billion. DT was formed with the aim to be a one-stop shop for corporate’s information technology. With about 140,000 employees globally and $74 billion in revenue, Dell Technologies becomes the largest privately controlled IT company in the world’s history, the technology leader in 20 Gartner Magic Quadrants and a portfolio of more than 20,000 patents and applications. DT’s unique corporate structure allows innovation to occur in a flexible manner as in a startup company and invest in R&D for the long term while offering the credibility, quality services and global market share of a large enterprise. Moreover, DT combines Dell’s go-to-market strategies strength with small and mid-market customers and EMC’s strength with large enterprises. DT has an exceptional group of business which comprises of Dell, Dell EMC, VMware, RSA, Boomi, Pivotal, Virtustream and SecureWork that provides the basic infrastructure for companies building their digital future, transform IT and protect their most vital asset, information. DT now has an expansive technology portfolio that clarify complex issues for customers in the industry’s rapidly growing areas of hybrid cloud, software-defined data center, converged infrastructure, platform-as-a-service, data analytics, mobility and cybersecurity.